So you have procrastinated writing your APA research paper and are wondering how to write a 10-page research paper fast. Such a situation is not uncommon for college and graduate students. At first, you had good intentions at the beginning of the semester to give yourself enough time to complete your complex projects. But now you realize that your lengthy academic paper is due tomorrow or in a couple of days and you haven’t even started yet. Many students wait till the last day or even night to start an essay and then something may go wrong at the last minute and they get a poor grade. But what if we tell you that you can really do well on your last-minute essay? There are certain best tips and tricks for writing research papers and term papers quickly. If you master them, you can become a super successful student. 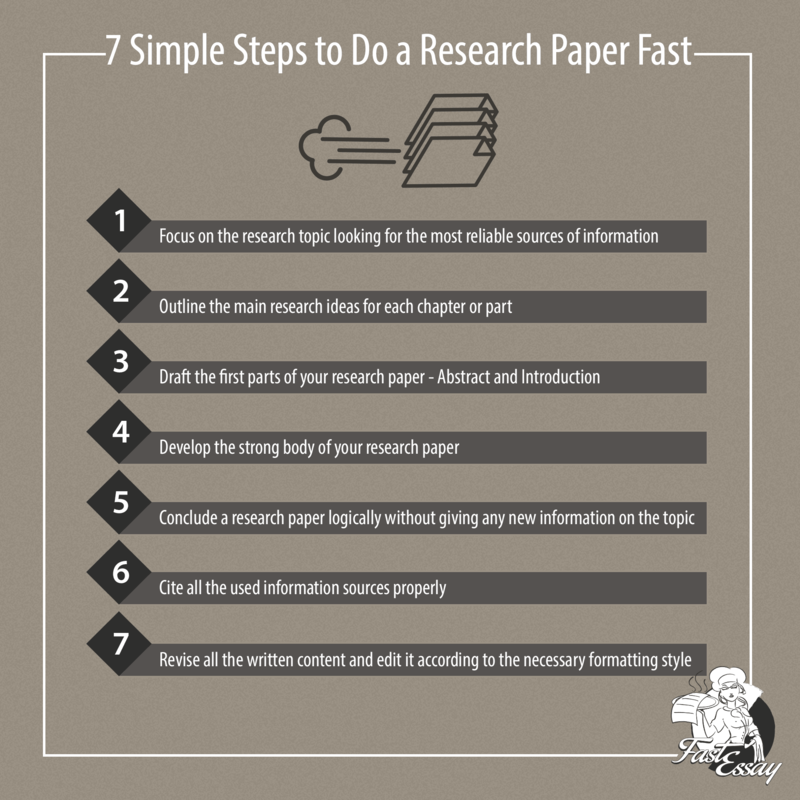 In this article, we’ll break down easy steps to writing a research paper from start to finish. If you are looking for advice on how to do a research paper fast, keep reading. Of course, you may develop your own specific steps or procedures as you grow as a writer so these steps are just to help you begin. First, you need to read the assignment and understand the guidelines for your project. You have to get a clear idea of how long your paper should be (number of words, pages) and what citation style (APA, MLA or other) is preferred by your instructor. Then, you have to schedule your paper and decide what amount of time you can afford to devote to working on your academic paper even if it is the last minute. Sometimes, research paper topics are assigned to students but the best scenario is when you are allowed to pick your topic. In this case, you can use brainstorming or mind-mapping techniques to come up with a good topic that is relevant to your assignment guidelines and that you’re interested in writing about. The key to success is to choose a topic that is as broad as possible. Remember that your time is limited and you can’t afford to spend a lot of time doing research to find enough material for writing on an unusual or a rare topic. It’s the best way to select a topic that a lot of previous research has been done on it. If you are not sure how to write a 3-page research paper fast, keep in mind that the fastest way is to do your research first and develop your thesis statement later. Developing your thesis early is not a good idea because you may find that there is not enough evidence to support it. You can start with Wikipedia to get a broad overview of the topic. Other good information sources are Google Scholar, online databases and encyclopedias, government reports and other publications, scholarly articles in scientific journals, newspapers, etc. You need to review all the sources you find, evaluate the collected information, and take quick notes of the key ideas you may want to cite or paraphrase in your research paper. Don’t forget to keep track of your sources so that you can cite them in your paper to avoid plagiarism. You can use your notes later when building your bibliography page. Now when you finish your research and have tons of ideas, it is vital to structure them. Before you start writing, you need to organize your ideas in an outline. Planning and outlining are critical for the success of your writing assignment because they will save you’re a lot of time when you actually start writing. Without an outline, your project will lack focus and you may spend much more time during the writing process trying to figure out how to make sense of your unorganized thoughts. So you should invest some time into writing your thesis statement and making a well-structured outline. Your thesis statement is the main idea of your paper so it needs to be specific. Besides, your thesis should be concise and simple. It should briefly outline the points you are going to argue in your research paper and support it with relevant evidence. An outline can serve you like a road map for writing your research paper. So try to make it as detailed as possible. In this way, you will have a good idea of what your paper is going to look like. Think about the main points that will support your thesis – they will be your subheadings. Then you need to group your notes together and match all the information that fits together under each of your sub-headings. If any information doesn’t support your thesis statement, it doesn’t belong to your academic paper no matter how interesting it is. Now you’ve come up to the point when you can actually start writing your first draft. Try to write with your own voice and include in-text citations where it is necessary to support your research ideas. Write an abstract that summaries the main ideas and the purpose of your research paper. Then start writing your introduction. The introduction should put the topic of your research paper in some sort of context. Start with a strong opening sentence that will grab your readers’ attention. Then you should provide some background information relevant to your topic and briefly explain why this topic is important. You should also explain how you are going to approach your topic. End your introduction with your thesis statement. Use your outline when writing your body paragraphs and stay focused on your thesis statement. Start each body paragraph with a topic sentence, analyze why this sentence is true, and support your topic sentence with relevant facts and examples. You can also use quotes from credible sources to support your own ideas but you should explain how they relate to your points. It’s important to use quotes sparingly and not replace your own ideas with them. When you complete an analysis in the written form, write the conclusion. You can restate your thesis using other words and briefly summarize your paper. You should avoid using repetitive phrases and facts and ideas that you have already stated. You can also explain why you think your points support your thesis statement. Besides, you can suggest some interesting ideas and points for further research and explain why you think they are important. When you write the first draft, you should do quick editing and revising to improve the content and the structure. Besides, you need to proofread your work. You have to reread your academic paper and make sure that it is on the point. It will take as much time as fixing your grammar and spelling mistakes. You will need to check the logic and the flow of your piece of writing and make improvements to ensure that your paper is well-organized and that there are logical transitions between your paragraphs. You may need to eliminate repetitive sentences, filler words and phrases and improve the word choice to make your paper clear and concise. It will be easier to catch any syntax problems if you read your research paper aloud. Finally, you need to check spelling, grammar, and punctuation and fix all the mistakes and typos if there are any. After that, you should read your paper aloud once more as if you are presenting it to your audience to catch any other errors that you might have missed. Think about the title for your piece of writing and create a title page if necessary. Now you know how to write a 5-page research paper fast. This is the easiest and the fastest way to cope with any type of essay or research paper and it really works (checked and proved in practice by most!). Of course, writing an academic paper in this way can be stressful so you should try to plan your time better next time and start writing in advance. Then you’ll have enough time to write your paper in chunks and make a good coherent argument based on thorough research and written with attention to detail. 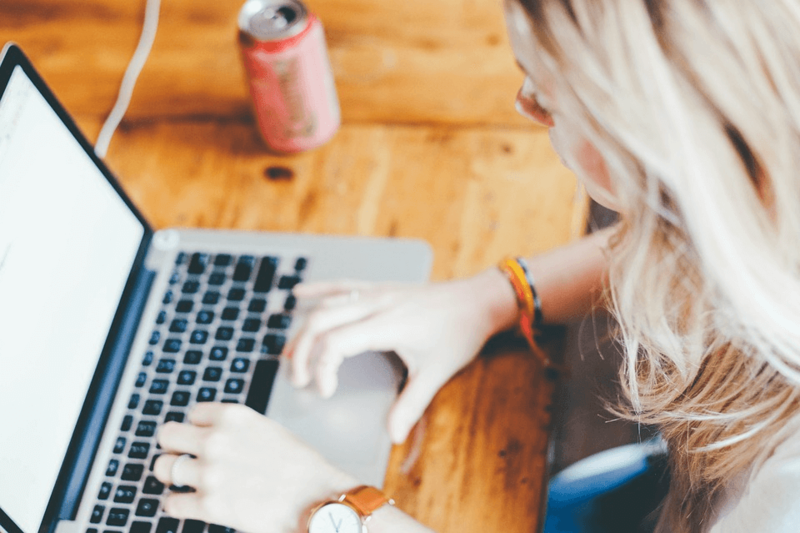 We hope that these tips on how to write a last-minute research paper fast will help you spend less time completing your challenging academic papers and get high grades. Good luck!